Samsung was first to mobile VR, but Google’s Daydream View headset beat it to motion controls. Now, the Korean electronics giant is fighting back with the Gear VR controller. And, with a bit of help from Oculus, it’s even managed to outdo Google when it comes to delivering a believable virtual experience. Best of all? Existing Gear VR owners don’t need to buy a whole new headset to take advantage of this upgrade. The Gear VR Controller gives Samsung a leg-up over Google’s DayDream View headset — for now. And as an inexpensive upgrade, it’s something every Gear VR owner will want. The Gear VR controller is about the same size as the Daydream View’s, but it’s angled slightly so it’s a bit more ergonomic to hold. It’s a minor detail that allows your fingers to rest more naturally — perfect for extended gaming sessions. The controller is made out of a smooth, black plastic that’s also pleasant to touch. 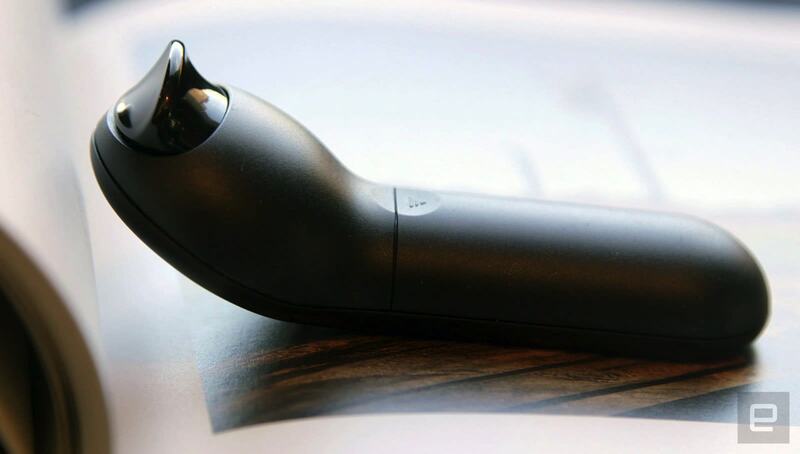 It’s not as refined as the Rift’s Touch gamepads, but Oculus’s influence is clear. It feels like something that’s made by a company that’s been thinking about hardware for virtual reality for a while. 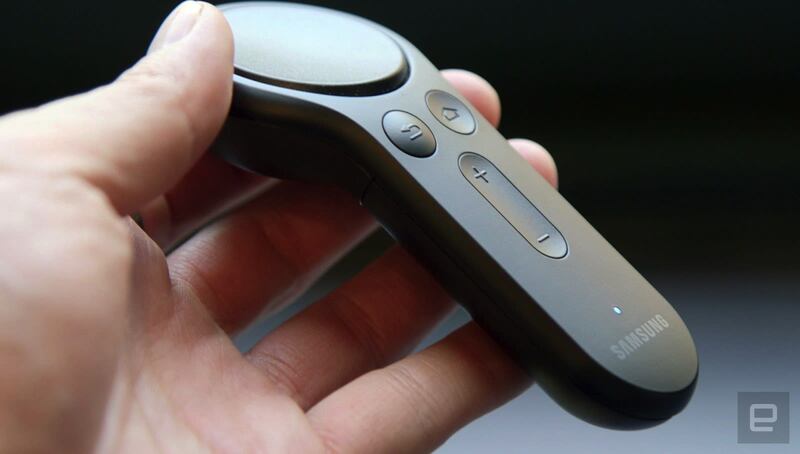 You’ll notice just how ergonomic Samsung’s controller is as soon as you hold it. Your thumb rests on the trackpad on the top, which also doubles as a button. There are also the usual back, home and volume buttons right below it. Your index finger, meanwhile, sits on the trigger on the rear of the controller. You can reach everything you need to without straining too much, and it’s pretty easy to figure out which button is which without taking off the headset. 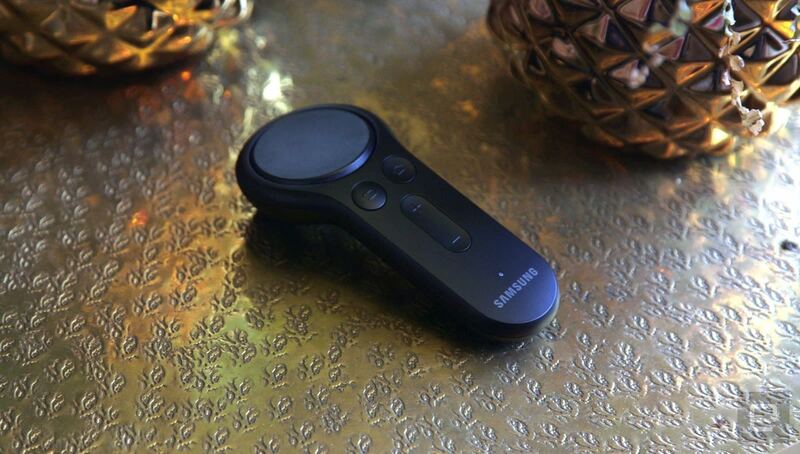 That trigger button, by the way, really makes the Gear VR controller something special. It gives Samsung’s headset an additional input option that the Daydream View doesn’t have. The trigger isn’t just useful for shooting, it can also help you do things like hold and grip objects in VR naturally. That’s something Oculus Rift and HTC Vive owners are used to doing with their more sophisticated controllers, so it’s nice to see the concept brought down to the cheaper land of mobile VR. Most importantly, the trigger button really helps to cement the idea of “virtual presence” in the Gear, which is essential for every VR platform. And if you’re wondering why we’re not reviewing the Gear VR headset this year, it’s because nothing has really changed since last year’s model. The new headset is tweaked a bit to fit the Galaxy S8, but beyond that it’s exactly the same as before. Setting up the Gear VR controller is a multi-step process. First, you have to install the two AAA batteries included in the box and pair it over Bluetooth. Then, the Oculus Home app walks you through a few calibration steps, which involve placing the controller on a flat surface and waving it in the air in a figure-eight pattern. The entire process takes a few minutes, and I didn’t run into any issues while setting it up on our Galaxy S8 review unit. Once I was good to go, I headed to the special section of the Oculus store reserved for controller-compatible apps. Oculus says 20 apps will support the Gear VR controller at launch, and that number will grow to 50 in the next few months. 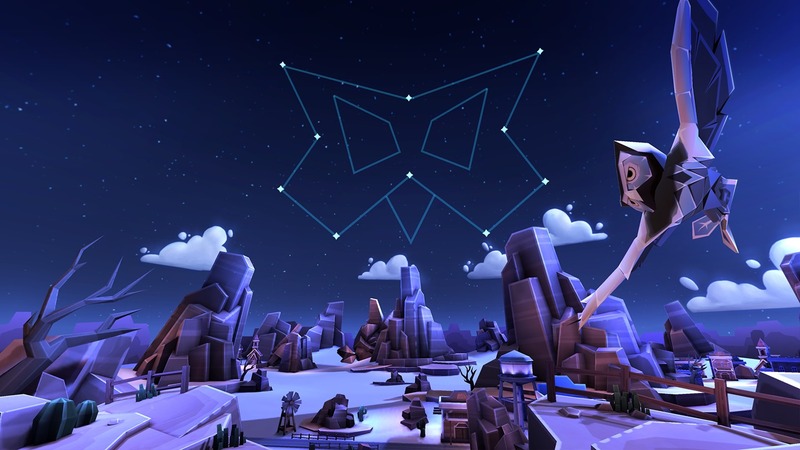 The initial lineup includes Gear VR mainstays like Drop Dead and Star Chart, and a new entry meant to show off the controller’s motion capabilities: A Night Sky. Samsung still has some catching up to do with Google though, as every Daydream app includes motion controller support. Across several different apps and games, I found that the Gear VR controller’s motion tracking worked well. It’s accurate and responds to fast movements, although it sometimes felt like it showed up much lower in my virtual environment compared to where my hand was in reality. It felt about as precise as the Daydream View’s remote, though it’s certainly not up to what we see on the Rift or Vive. If you end up repositioning your arm while playing, you can just hold down the Home button to re-orient the controller. When it came to Drop Dead, one of the best shooters on the Gear VR, the controller was ideal for targeting and blasting zombies. It was certainly far more immersive than the way you previously played the game, which involved moving your head to target and tapping the headset’s side touchpad to shoot. The controller also showed off its precision in A Night Sky, which involves connecting different points of constellations in the sky. Beyond apps and games, the Gear VR controller is also helpful for navigating around the new Oculus Home interface, which received a resolution bump and web browser last month. As you’d expect, it’s far more intuitive to browse and select menu options with the controller than with the Gear’s built-in touchpad. I also enjoyed browsing the web in VR with the remote. The new virtual keyboard makes it easy to type in addresses, and websites were a joy to read thanks to Oculus Home’s higher resolution. In many ways, it’s more convenient than browsing the web in desktop VR offerings, since the Gear VR is wireless and far lighter. At $39 on its own, the controller is a no-brainer purchase for existing Gear VR owners. You can also get it together with the headset for $129. Google has the advantage when it comes to pricing: Its Daydream View headset and controller are only $79. Still, you can expect to see plenty of deals on the Gear VR, based on what we’ve seen with previous versions. Samsung is already offering it for free to people who pre-order the Galaxy S8, and you can bet that carriers will use it as a way to tempt their subscribers. Now that the mobile VR landscape is getting a bit more complicated, you’ll have to plan a bit if you’re interested in a particular headset. The Gear VR is only compatible with Samsung phones from the last few years (starting with the Galaxy S6), whereas Daydream works with Google’s Pixel lineup and a handful of other phones. At this point, Samsung’s platform is much more mature, and it’s clear that its partnership with Oculus is helping to evolve its hardware and software quickly. Ultimately, the Gear Controller is exactly what we’ve been waiting for from Samsung. It lets consumers get a taste of large-scale, motion controlled virtual reality at a fraction of the price. And it’s another reminder that mobile VR can be just as compelling as the Oculus Rift and HTC Vive.